Why have an engagement session? The importance of an engagement session is something I really really really emphasize to all of my clients. To a lot of people it’s just another part of the wedding. More photos, more time to put into the whole ordeal, etc. During those one to two hours you do walk away with a ton of great photos, perfect for save the dates, wedding decor, hanging in your home, for your wedding website, whatever you want to do with them. To me those photos are so much more. First off, your engagement session is a warm up for the real deal. You get to hop in front of the camera and get a little practice before your wedding. A lot of people don’t realize the craziness of being photographed for hours on end on a very emotion packed day. Also during that time you get to see how I am when I’m actually shooting. It’s a little wild, I move fast and usually I do this funny bit where I show you how to pose and I look just ridiculous. But that part is important. Both you and I get to look at those images and say “Wow that pose is perfect!” or maybe “Hey I look best when I smile instead of being serious,” or even “Oh jeeze never pose me that way again.” It’s a learning process since every couple is different, and it helps me be 100% prepared when I walk into your wedding. 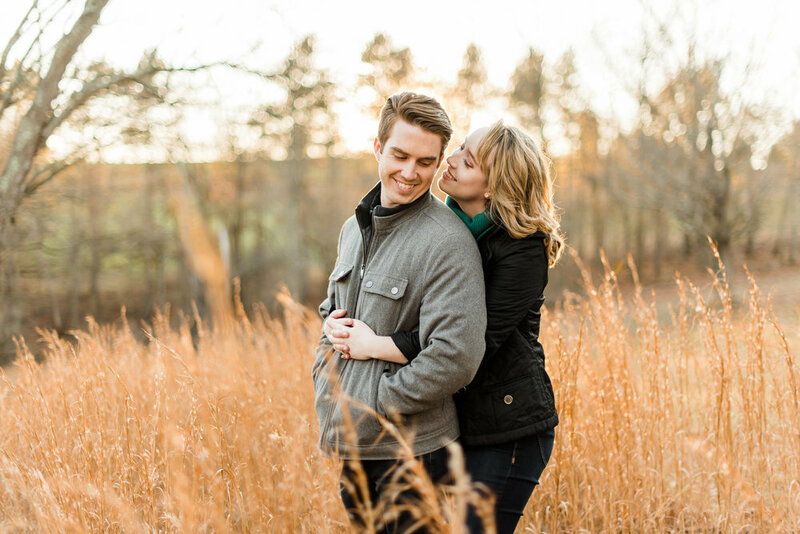 The second reason I am a big fan of engagement sessions isn’t something that most people think of. To me, these are your last “nice” photos together before you’re married. They are a chance to celebrate who you are and relish that time before you take the next big step in your lives together. It’s why I try to make the sessions so personal. Being engaged is an important part of this whole process, why not have fun photos to look back on a breif yet meaningful time in your relationship together? Also, it really is a blast and an exuse to do something that might not be possible for wedding portraits. I’ve seen paint fights and mopeds, ice cream shops and art galleries. I’ve photographed couples sharing fries then riding all the rides during a day at Kennywood. There are no limits on my end, as long as you have fun.